Montessori Pointe Claire is located in an established, quiet, residential area of the West Island. We are within a 5 minute drive of both major highways, the 20 and the 40, and close to public transit including the 201 bus and the Pointe Claire train station. 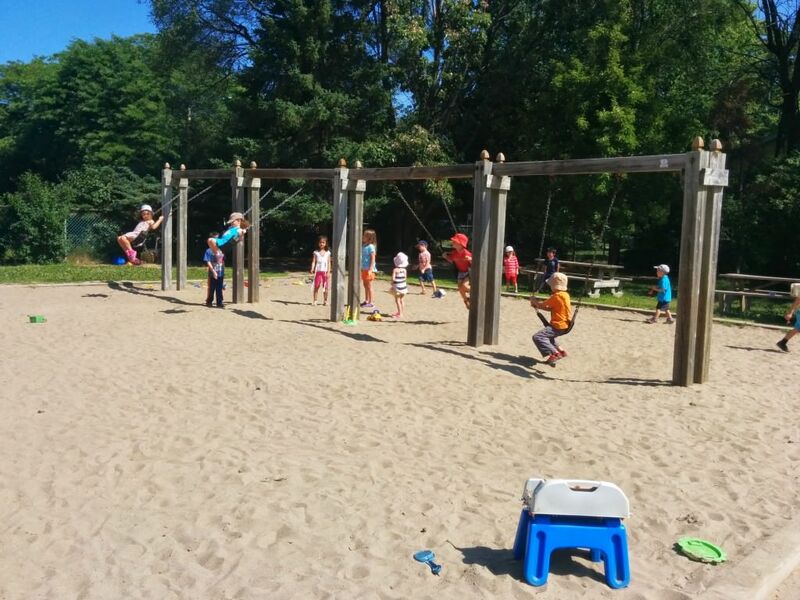 Children aged 2 and older spend much time playing outdoors in our beautiful, large, wood playground while the younger children play in their own, age-appropriate outdoor area. All outdoor spaces are well-maintained and safe for the children. 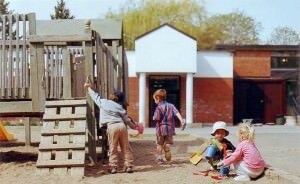 Whether it be swinging on the swings, running in the grass with friends, climbing up into the play house, or sliding down the slide, the children at Montessori Pointe Claire enjoy many opportunities to explore, learn and play outdoors. 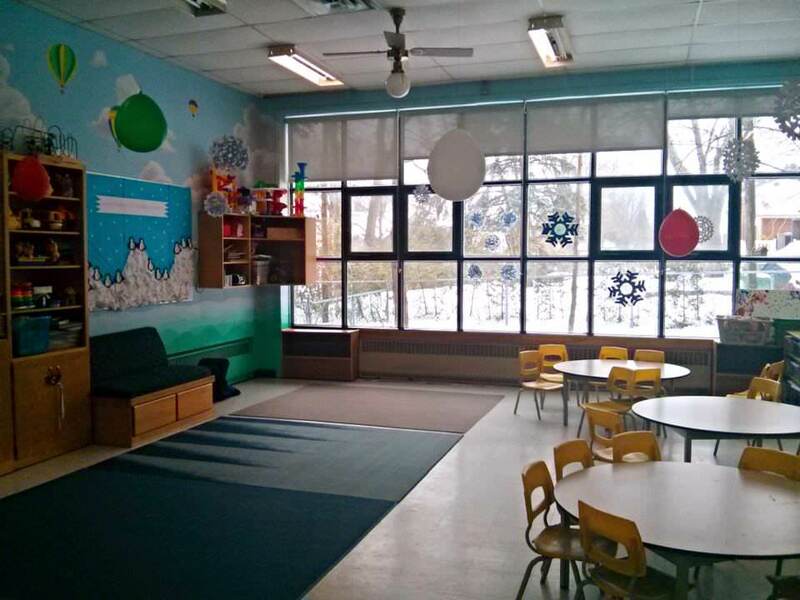 The classrooms at Montessori Pointe Claire are unique as they offer large and airy spaces with many windows. Lots of light shines in throughout the day, which provides a stimulating, invigorating learning environment for children. The large classroom size allows for many activities and stations to occur at once. 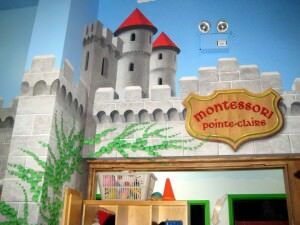 This set up gives children choice, building independence and allowing them to feel in control of their learning. 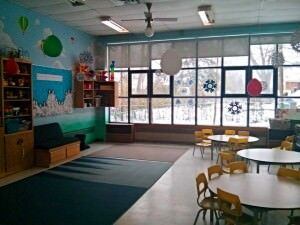 Many activities take place in our common space, which, like the rest of the school, boasts high ceilings and large windows. Children enjoy taking part in many activities such as music, yoga, aerobics and karate classes in this space. Janice Donato, a local Pointe Claire artist, has filled the school with life by painting beautiful, vast murals in every space. Her work stimulates the imagination and provides a vibrancy to the learning environment.